Golden Times: Tell us about your Summer Universities this year! Valeriia Tukhar: We have quite a big plan for 2018 as we organize two Summer Universities this year. 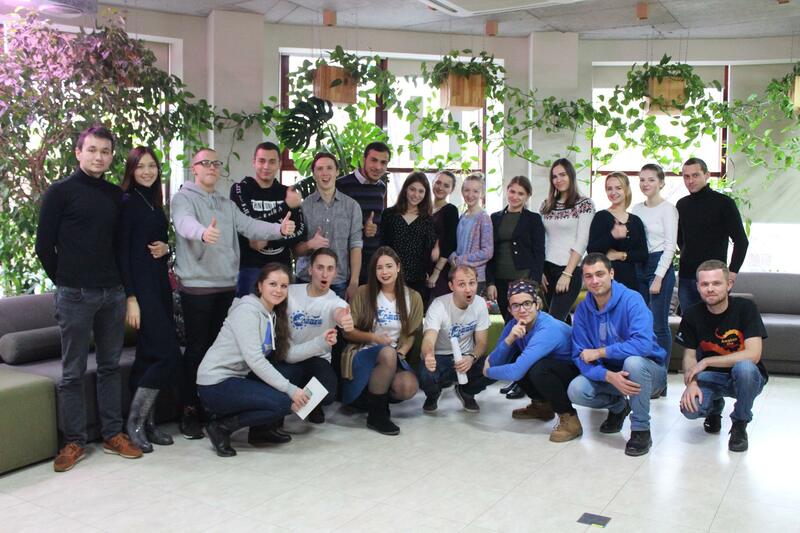 The first one is a cooperation with AEGEE-Kyiv. The title is “CrUAtivity in action!” We will give you courses dedicated to photography and blogging. We will also show you our local traditions. In short: we want to have summer fun and do something useful. It takes place from 30th of July to 10th of August. Golden Times: Very nice! What about your second Summer University? Valeriia: The second SU is a cooperation with AEGEE-Rostov-na-Donu, AEGEE-Voronezh and AEGEE-Kharkiv. The title of this Travelling Summer University is “The Slavic FOURce”, it’s from 14th to 28th of August and the topic is Exploring Slavic culture and breaking stereotypes about Eastern Europe. The SU is devoted to the friendship between Ukraine and Russia. We want to show the world that the Slavs know how to have fun! Valeriia: By the way, maybe we will also try to organise a Network Meeting in Odessa in autumn 2018. Besides, we have a set of different local events in our mind. Valeriia Tukhar: AEGEE-Odessa’s active members started the reviving process of our local at the end of 2015. During 2016 and 2017 they tried to revive our antenna as well as cover debts that were left from the inactive period of time. Since there was no knowledge transfer, it took time to figure out how an AEGEE board must function to fulfill the criteria and how to prepare the necessary reports. We are grateful for the support of our previous president, NetComs, CD members and other AEGEEans from different locals who supported and helped us during this process! Golden Times: Was the future of your antenna really in danger? Or did you always believe you could save it? Valeriia: There was a similar situation in the past when our local was revived already once. So it is not the first time, but it was probably equally difficult. We always believed though that we would find members, who are like-minded and enthusiastic about making AEGEE-Odessa grow. So here it comes! Golden Times: What did you do to make the turnaround? Valeriia: We tried to do our best in searching for active young people, who would cherish the idea of AEGEE and would be interested not just in visiting events around Europe, but staying active on the local level too. 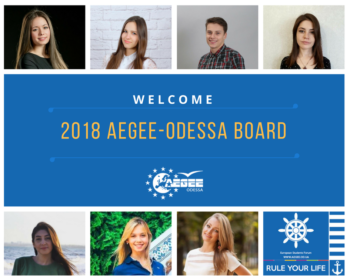 One of the most important outcomes is that our board members of 2016 and 2017 became great friends, which contributed significantly to organising events in Odessa, where motivated students joined us and eventually formed the board of 2018. Golden Times: You recently had a successful LTC. How was it like, what did you focus on? Valeriia: We tried to spice up our LTC not only with major AEGEE topics and coverage of its aspects, but also with some interesting areas that would be useful for students such as an introduction to the Erasmus+ programme, travelling & volunteering tips, CV and motivation letter tips, and interview advice. Golden Times: How many members do you have now? Valeriia: Right now we have around 30 active members who visited local and European events in 2017. AEGEE-Odessa was founded in 2003. One of its first events was the SU “Budmo” in 2005. Golden Times: Some of your members don’t live in Odessa, but in other cities. How do you manage to work together? Valeriia: That’s right, some of our members live in the neighbouring city Mykolaiv, since AEGEE-Odessa is the only antenna in southern Ukraine. However, Mykolaiv and Odessa are not that far from each other, so when we have events like an LTC we meet in one of these cities. The distance might complicate some things but it is not a big issue in the century of online world. It is almost like being a freelancer working remotely, an AEGEE freelancer. By the way, when there was no AEGEE-Odessa in the past, students from the South of Ukraine became members of AEGEE-Kyiv. Golden Times: There are only four antennae left in Ukraine: AEGEE-Lviv, AEGEE-Kyiv, AEGEE-Odessa and AEGEE-Kharkiv. There were a lot more in the past. Has it become more difficult to make students join AEGEE in Ukraine? If yes, how? Valeriia: Yes, there used to be way more antennae in Ukraine. There was a breaking point when the war in 2014 started. It caused a huge currency rate increase, which made travelling to AEGEE events way too expensive for Ukrainian students. Another impression of the SU in 2005. Golden Times: What’s your strategy to make people join your antenna? How do you promote it? Valeriia: Our main strategy is to conduct as many local events as possible, as well as promotion in universities. Unfortunately, AEGEE is little known in our city, but we will do everything we can to correct this situation and make AEGEE known in Odessa, Ukraine and throughout Europe. Golden Times: To how many events per year and what kind of events do your member usually travel? Valeriia: Members of the AEGEE-Odessa attend about five or six events per year. Mostly these are SU, Agora and NWM. 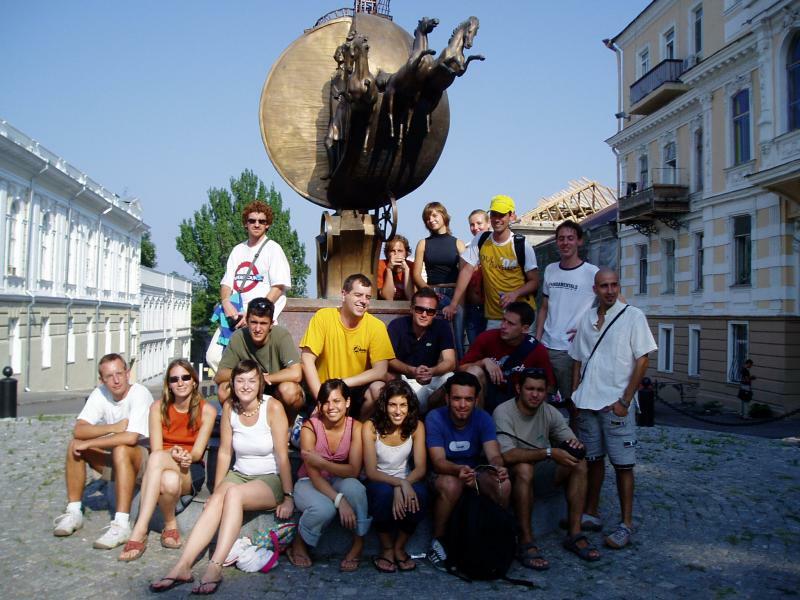 In 2006 AEGEE-Odessa helped organising an AEGEE Election Observation Mission. Valeriia: In most cases we leave from neighboring major cities, such as Kiev or Chisinau, or fly with a transfer. To get from Odessa to Vienna by plane, you can for 300 Euros in both directions, and to Munich for 200 Euros. You can also use buses, but the price is not much lower, and it takes a lot longer – up to 40 hours. Golden Times: This is your minute of free advertising: Why should AEGEE members visit Odessa? Valeriia: Odessa is a wonderful city for many travelers. Lovers of history will find here many historical, archaeological, military or partisan museums, as well as will be fascinated by the numerous stories and legends of our city. The city is a good choice for lovers of art museums and simply lovers of beauty, because Odessa is a beautiful city – it is impossible not to fall in love with it. Our city is also a famous port, is located on the Black Sea coast and is famous for its beautiful beaches, so if you are tired of everything and just want to lie on the beach and swim, Odessa is what you need. And of course, Odessa is famous for its night beach clubs, where you can have fun all day and all night. 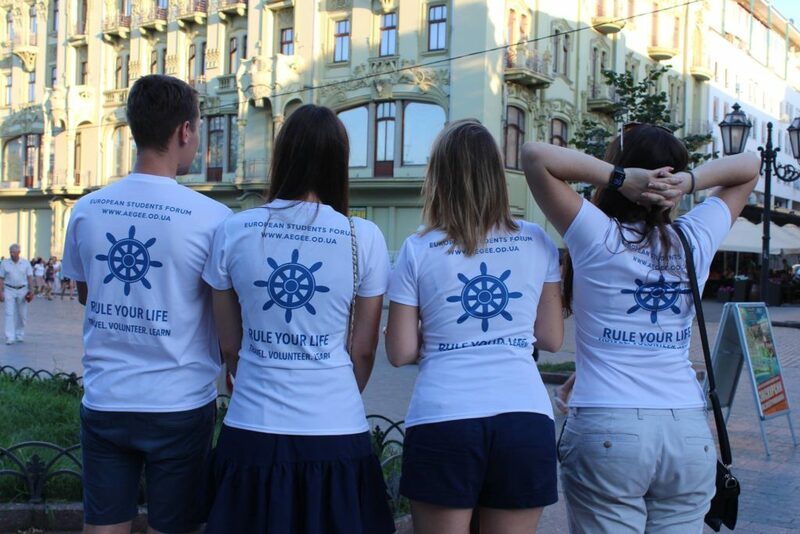 If you want to enjoy life to the fullest, then we are waiting for you in Odessa, join us! Follow AEGEE-Odessa. They are waiting for you – and have awesome T-shirts.